Welcome to the weekend! Now that the Christmas Season has officially begun, I thought this would be a good day to do a post on how to help others... with a high tech twist. In the U.S., we're all familiar with the Salvation Army and it's minions of bell ringers. These dedicated folks stand outside stores, malls, etc and ring bells while standing next to red kettles where shoppers can toss in whatever they would like to donate. The problem with this method of dontating is what if you don't happen to have any cash or change? I know that I tend to use plastic and consequently don't always have cash available for this type of donation. Here's where tech comes in to help. 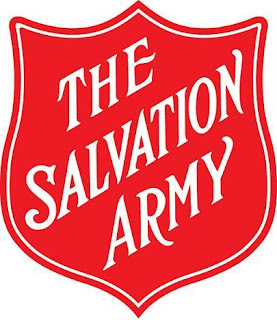 At some Bell Ringer stations this year, there will be signs giving you a number that you can send a text message to that will charge your cell phone bill $5 and make that donation to the Salvation Army. How cool is that? The system is quick, requires little effort, and helps others. As the Holidays approach, it's important to think of others. I know the economy has affected some of us negatively, but if you've been fortunate enough to be blessed with good finances this Holiday Season, please consider sharing your blessings with those less fortunate. I absolutely love my Tivo. It has truly changed the way I watch TV. AAMOF, I didn't watch much TV until we installed the device a few years ago. The ability to "time shift" and watch your shows when you want to was a huge part of it. When combined with the ability to have the device grab certain titles whenever they were available, any show featuring a specified actor, and the "season pass" option to record entire seasons, this thing became a no-brainer in the Flucke household. Once the device is activated and on your home wireless network, you can send requests to it over the Internet to record shows. I've actually sent a record request from my phone while having dinner so that I could watch a show when I got home. It is nothing short of amazing! Now there is an improvement for network connected Tivo's. Amazon, Net Flix, and some other vendors have now partnered with Tivo to allow download and viewing of movies. The process is fairly simple. You need to have an account with the service you want to use, you go to their site via Tivo, select the movie, and select download. On Wednesday we decided to spend Thanksgiving evening watching a movie. We accessed our Amazon account and selected the movie for download. Once you begin viewing, you have 24 hours to complete the movie before it expires. Of course you don't own the movie, this is just an easier and more green way to rent them. The experience was easy and highly enjoyable. I'm taking a technoblogging day off today. Heck, if you're reading this you should too! However, in the tradition of my favorite sports writer Joe Posnanski, I'm letting you know just a few of the the things I'm thankful for. I'm thankful for God who helps me through the tough times and smiles with me through the good times. I'm thankful for family - the ones who put up with my crazy traveling, writing, and just plain craziness. I'm thankful for Barry and Audrey. Their love, warmth, generosity, and kindness have changed my life and my family's life as well. I'm thankful for my patients who put their trust in me and bring such joy into my life. I'm thankful for my staff who, like my family, puts up with me and helps make my life such a wonderful place to be! I'm thankful for Don, Gene, Gary, Mike, Mark, Brian, Josiah, John, and all the gang at Goetze Dental. It's nice to feel part of your family. I'm thankful for House and Renner construction and Guy Gronberg for helping make my office dream come true. I'm thankful for Marty and Paul and our Dental Technology Solutions adventures. Life on the road is never the same whey you guys are not around. I'm thankful for David who keeps the e-mail coming and the IDF going. I'm thankful for Lou, Erin, and Glen. 2009 is gonna rock, I can just feel it. I'm thankful for Christa Lee, Daniel, Rachel, Vicki, and Becky too! I'm grateful for the Green Monster, summer nights at Kaufmann Stadium, hot dogs, and too many nachos. And lastly, I'm grateful to all of you who read this blog, read the magazine articles, and come to my lectures. I'm always humbled by your attendance, e-mails, and questions. Thanks for making my life the great journey that it is. Now go out there and watch some football, eat some turkey, and hug your family!!! Pictures of the next generation of the Amazon Kindle surfaced this fall. At first the rumors were that the device would be available for the holiday shopping season, but then Amazon began to vigorously deny those rumors. This was followed by a bit of speculation on exactly what was going on. It's now starting to clear and point to the first quarter of 2009 for the release of Kindle 2.0 The new device is supposed to be thinner with a redesign of the buttons to eliminate some of the "accidental button pushes" that have caused problems for some users of the first version of the device. Another update has been released for the Instinct. I've scoured the web and can't find any info on it... yet. However my personal experience has been that the browser is much0 faster than it used to be. I had an off the record statement from one of my Sprint contacts a few weeks ago that there would be much better calendar integration before the end of the year, but I don't notice anything along those lines with this update. The update takes about 10 minutes to perform. Go to the "Main" screen. Tap "Settings". Tap "General" (4th button down), Tap "Update Software" (1 button up from the very bottom), from there it should take care of itself. You will have to authorize the update, but it basically installs itself. The Internet is all about keeping us connected and now you can literally take the Web with you. uconnect web lets you turn your vehicle into a WiFi hotspot, allowing you to connect your laptops, iPhones, PSPs and PDAs. With this authentic Chrysler accessory from Mopar® installed at your dealer, each passenger can simultaneously surf the Web, check their e-mail, instant message, download music / photos and play online games, so you'll never be out of the loop again. As the holiday season approaches, many of us will be looking for affordable and fun gifts to give. 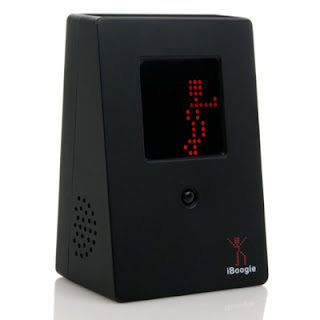 If you have someone on your list that is a bit goofy and a music lover, you can do worse than the iBoogie. It is a combination speaker and stick figure dancer. The little red LED dancer moves and grooves as the music plays. Welcome to the weekend and fun technology posts. See the gum package above? The black device above it is a movie camera. Although not available yet, this tiny camera will record full motion video. Developed by a company called Swann, this camera weighs 7 oz. It records onto a MicroSD card and can record up to two and a half hours on a 2GB card. It runs on a lithium ion battery that can be charged through a computer USB port via a cable. Here is an interesting site that will help you with testing your passwords. One of the ways hackers gain access to accounts is through what is known as a "brute force attack". The best passwords are always random letters, symbols, and numbers, but many find these hard to remember and go for more simple versions. The Hackosis Brute Force Calculator will figure out for you how long it would take someone to access your account. Very cool. Think you need a stronger password? Enter the new idea and see if it scores better. The Food and Drug Administration and the Academy of Laser Dentistry are hosting a joint symposium on the uses of lasers and other light-based technologies in dentistry. The symposium will take place on Monday, December 8th, in Building 2, Room 2047 of the FDA facility in Silver Spring, Maryland. Specifically, the symposium will provide an overview on the impact that light-based technologies are having on dentistry, including how lasers and light-based technologies interact with oral tissues, the impact they presently have in the practice of dentistry and other healthcare professions, and the future potential of these technologies. The presenters will be some of the most respected thought leaders in their respective fields, and will include practicing clinicians, academicians, and researchers from around the country. The series presentations will start by reviewing what has happened over the nearly fifty years since the laser was developed in 1960. Discussions will include the science, research, and utilization of lasers and light-based technologies, their present roles, and the potential for additional applications in the future by dentists, dental hygienists, and other oral healthcare providers. In addition, research and applications for hard and soft tissues of the oral cavity and related head and neck structures will be presented, including the use of lasers and light-based technologies in surgical, preventive, diagnostic, and potential healing applications. Presented by Terry D. Meyers, D.D.S. Presented by Donald Coluzzi, D.D.S. or Michael Swick, D.M.D. This one-day symposium in being jointly sponsored by the FDA and the Academy of Laser Dentistry (ALD) at the FDA facility in Silver Spring, MD (Washington, DC area) at no cost to the attendees. Registration and 8 hours of continuing education credit are being provided by the ALD. To register, visit www.laserdentistry.org. Please register by December 1, 2008, as space is limited. If continuing education credits are desired, please designate it on the registration form. For additional information, contact Dr. Scott Benjamin (meeting coordinator for the ALD) at info@DentalAIM.com. In case you missed it, Ethernet over power lines is a reality. The problem comes when you need a network connection and a surge suppressor. You see, plugging the adapter into a surge suppressor basically removes the Ethernet functionality. HD-streaming Ethernet from any electrical outlet! Turn any electrical outlet into an HD-streaming Ethernet connection ideal for IPTV and video streaming applications. NETGEAR’s Powerline HD Ethernet Adapter Kit (HDXB111) is an ideal solution for connecting PCs, DVRs, set-top boxes, and game consoles to the home network. Simply plug one HDXB111 into an AC outlet near your modem, gateway, or router and the other HDXB111 near the device you wish to network and instantly you can have HD streaming throughout your home. Nothing could be easier than using NETGEAR’s plug-and-play adapters and your existing electrical wiring! Latest DS2 chipsets and built-in Quality of Service (QoS) ensure fast, high-quality, consistent performance for real-time HD video and audio streaming for a digital media adapter (DMA) like the NETGEAR Digital Entertainer HD (EVA8000), or for IPTV, Internet gaming, and VoIP calls. With data rates up to 200 Mbps†, large file transfers to networked storage devices like NETGEAR’s Storage Central Turbo (SC101T) can be up to 12 times faster than previous Powerline networking products, all with encrypted security. 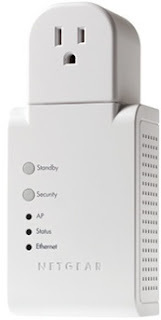 ¹An HDX111 may coexist with HomePlug 1.0 products but it is not compatible or interoperable with XE102 Wall-plugged Ethernet Adapter, WGX102 Wall-plugged Wireless Range Extender, XE104 85 Mbps Wall-plugged Ethernet Switch, XE103 85 Mbps Wall-plugged Ethernet Adapter. 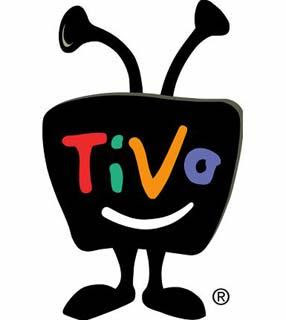 Got a Tivo? Got an appetite? Get Domino's! Thanks to a new marketing deal, Tivo subscribers can order a Domino's pizza directly from the device. 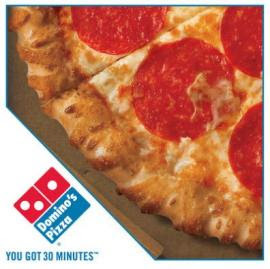 Here's how it works, when you see a commercial or a Domino's product placement during a show, you can use your remote to order a pizza or access an on-demand ordering menu from your Tivo. You'll even be able to track the delivery time. This is the first time anything like this has been tried. Personally, I thought ordering pizza via text message was cool, but this takes it to a whole new level. Here in the Midwest, it's starting to look a whole lot more like winter is on its way. Along those lines, here is a device that can help make your cold weather experience just a little more tolerable. Imagine a nice warm room on a cold night compliments of the Vornado TVH 600. This device features a touch screen, a remote control so that you don't have to go to the device to adjust it, and several safety features. These safety features are: “automatic tip-over protection, a non-glowing heat element, cool touch cabinet, and tight grill spirals that will not burn hands”. The Vornado TouchStone™ Vortex Heat 600 is the world’s smartest heater. Using advanced technology, the thermostatic remote control of the TVH 600 can be placed anywhere in the room and senses the heat around it. It then relays the temperature reading to the heater to monitor and maintain a more accurate room temperature. An interactive digital touch screen control panel allows precise control and ease of use when selecting the heater settings. Comes equipped with automatic climate control, eliminating hot and cold cycles, maintaining the set temperature using less energy. Automatic climate control eliminates annoying hot and cold cycles, maintaining the set temperature using less energy. 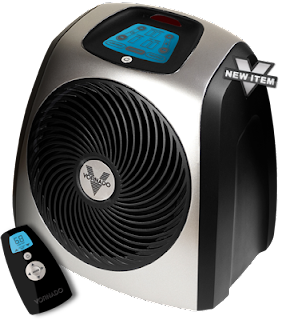 The TVH 600 incorporates Vornado’s signature Vortex Technology to fully circulate the warm air throughout the whole room, creating an even temperature. Includes a Smart Remote which intelligently reads and relays temperature to the unit, for a more accurate temperature reading. The touch screen control panel allows you to easily adjust the settings. Includes multi-level safety protection with automatic tip-over protection, non-glowing heat element, cool touch cabinet, and tight grill spirals to keep even the smallest fingers out of harms way. 2-year limited warranty. Over the past few years, I've been an owner of several Vornado space heaters and have been extremely happy with their reliability, durability, and performance. Although I don't have any personal hands-on experience with the TvH 600, based on my past experiences, this unit is highly recommended by yours truly. At long last, USB 3.0 is coming. After almost 3 years of development punctuated by starts and stops, the amazingly fast 3rd generation of Universal Serial Bus, is set to be shown to the world. 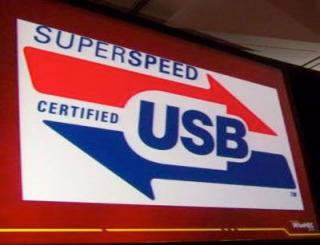 The announcement will be made Monday at the first SuperSpeed USB Developer Conference in San Jose, CA. The excitement is due to the incredible high speed data transfer that the new standard is said to deliver. This means that rather than replicating your image database, most offices could creat a fresh backup every night and have it take less than 3 minutes to transfer. Scary huh? I say bring it on. I've got lots of gigs to transfer & backup. Have you ever had the need or desire to grab an entire website for future reference? This can be especially handy if it is a site that provides info that you might need when you (gasp) have no Internet connection. Fortunately, this process is now an easy thing to do thanks to Adobe Acrobat Pro 9. If you're interested in learning how to do this, PC Magazine has a great online tutorial. Click here for all the info. For those of you who want a nice mobile solution for around the office or taking notes at a lecture, read on. You won’t be able to get your hands on it just yet, although it will be out in January with a starting price point of $2,799. Can a computer help monitor home-bound patients health care? There are an increasing number of folks who are not mobile and need help with their healthcare. Up until now the solution has been a traveling work force of nurses and support staff. However, it looks like Intel is putting a wrinkle into this with a great idea using computers to help those who need help. SANTA CLARA, Calif., Nov. 10, 2008 - Intel Corporation today announced its Intel® Health Guide, a care management tool designed for health care professionals who manage patients with chronic conditions. The Health Guide represents Intel's entry into a new category of personal health systems that go beyond the simple remote patient monitoring systems available today. 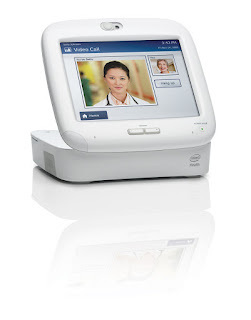 The Intel® Health Guide, which received 510(k) market clearance from the U.S. Food and Drug Administration (FDA) in July, is a comprehensive personal health system that combines an in-home patient device - the Intel® Health Guide PHS6000 - as well as an online interface - the Intel® Health Care Management Suite - allowing clinicians to monitor patients in their homes and manage care remotely. "The Health Guide is a step forward in offering more personalized and effective management of chronic health conditions in the home," said Louis Burns, vice president and general manager of the Intel Digital Health Group. "Intel has spent years researching the needs of both caregivers and patients, and we are now moving to launch a series of products that will help extend care from the hospital to the home. Our products will help address the challenges of an aging population and rising rates of chronic disease." Intel is collaborating with health care industry leaders around the world to validate the clinical benefits of the Health Guide for a wide range of chronic disease conditions and health and wellness applications. Pilot studies in the United States are currently planned with health care organizations such as Aetna, Erickson Retirement Communities, Providence Medical Group in Oregon and SCAN Health Plan. The goals and objectives are to assess how the Health Guide integrates with different care management models in the home. These first studies focus on the ability to demonstrate improved health outcomes for conditions such as heart failure, diabetes, hypertension and chronic obstructive pulmonary disease. Customers such as Advanced Warning Systems, Inc., (AWS), a provider of health care discovery products and web-based services, monitor people for acute cardiovascular symptoms that can cause sudden death. AWS will use the Intel Heath Guide to connect with a targeted class of users, including retired athletes and post-war veterans suffering from post traumatic stress disorder (PTSD), with the highest incidence of cardiovascular related illnesses. The Health Guide promotes greater patient engagement and more efficient care management by enabling communication between patients and health care professionals and providing clinicians with access to the most current, actionable data. This solution offers interactive tools for personalized care management and includes vital sign collection, patient reminders, surveys, multimedia educational content, and feedback and communications tools, such as video conferencing and alerts. Clinicians have ongoing access to data so that they can better manage each patient's conditions while patients benefit from customized care in the comfort of their own living room. Intel is working with leading health care organizations that have an understanding of health care delivery to develop unique patient care plans as well as multimedia educational content for chronic conditions. Specifically, Intel is working with the Mayo Clinic to have licensed educational content from MayoClinic.com made available to customers using the Health Guide. In addition, Intel is working with the American Heart Association to create care plans based on the organization's treatment guidelines for a pilot project for the ongoing management of patients with heart failure. The intent is to help health care professionals monitor patients and remotely manage their care in accordance with science guidelines and also to provide patients with ready access to credible and targeted education material. Intel has also hired a team of clinical experts to provide a range of professional services to enable health care organizations to successfully integrate the personal health system into their current disease management programs and models of care. Additionally, Intel plans to use the core technology components of the solution to build products targeted for new areas such as independent living and programs for health and wellness management and to support new devices such as mobile phones and handhelds. American Medical Alert Corporation, a national provider of remote patient monitoring devices and 24/7 health care communication services, will be the first U.S. market channel partner for the Intel Health Guide. By adding the Intel Health Guide to its portfolio of offerings, AMAC will be further equipped to provide its customers with the best in care management technologies. The Health Guide is designed to be used by health care professionals to manage their patients at home and is not currently available for general consumer purchase. 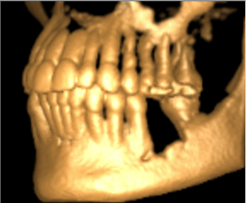 You can learn much more about DENTRIX G3 at www.dentrix.com. Feature details and system requirements can be found there for your convenience. Remember, if you're currently subscribed to a Customer Service Plan you received DENTRIX G3 automatically as part of the many benefits of being a subscriber. Some other benefits of being subscribed to the plan include toll-free technical assistance, a basic website, access to the DENTRIX knowledgebase, access to more than 41 on-line training courses, 1GB of eBackup, The Computerized Dentist newsletter, and preferred customer discounts. What's the one other reason to upgrade? The one other reason why you want to upgrade to DENTRIX G3 now is because DENTRIX G4 is completing its testing this month. 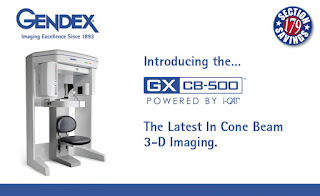 Upgrading to DENTRIX G3 now will give your team time to learn the new features above and then be ready for the new features found in DENTRIX G4. 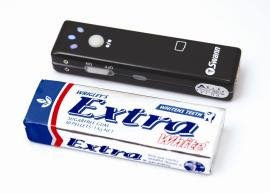 Some of our customers will receive DENTRIX G4 before the end of the year; most will receive it next quarter 2009. DENTRIX G4 is a version of DENTRIX that every one of our customers will find real. How so? Because every feature and enhancement was requested by our customers. In short, the top customer-requested enhancements is the feature list for DENTRIX G4--a list 230 features long! Watch this message board for more information soon! Another quick note: The 2nd annual Dentrix Users Conference will be held at the lovely Red Rock Resort & Casino in Las Vegas June 11-14, 2009. Please mark your calendars today and reserve time for you and your staff to sharpen your DENTRIX skills, network with other DENTRIX practices, learn valuable business skills from the most respected consultants in the profession, and see the classy side of Vegas. More will be posted as soon as the website goes live. The first users conference in Snowbird was extraordinary. See www.redrocklasvegas.com for resort information. As our lives become more digital, we're all saving more and more data on portable hard drives. This is especially true if you are keeping lots of video and music. Of course, watching or listening on your computer isn't always easy, convenient, or the best experience for this type of thing. 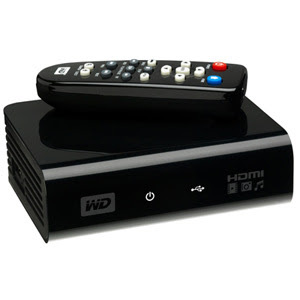 To the rescue comes the WD TV HD Media Player from Wester Digital. 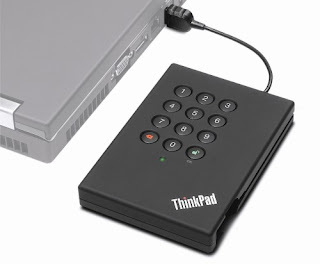 The company, a leading manufacturer of hard drives has now brought to market a device that you can connect your hard drives to and show all your content on your TV. Cost is $130. Combined with a My Passport portable drive (sold separately), this player is the most convenient way to play HD movies or user-generated videos, listen to high-quality digital music and show high-resolution slideshows of your family photos on your TV. Also works with popular USB drives, and digital cameras, camcorders, and portable media players that can be recognized as mass storage devices. 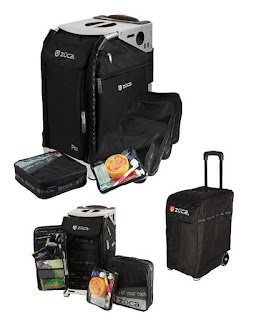 Designed for My Passport, works with many other USB storage devices - Play content from most popular USB drives,and digital cameras, camcorders, and portable media players that can be recognized as mass storage devices. Full HD video playback and navigation - up to 1080p - Experience the spectacular picture quality of HD video and crystal clear sound clarity of digital audio. Use the included remote control to navigate through your entertainment choices using our crisp, animated HD menus. Thumbnail and list views – Browse your content by filename or by thumbnails of photos, album covers and movie cover art. Media Library – This unique feature lets you view all your media by media type in one menu regardless of its location in folders or drives. You can view your content by categories such as genre, album, artist and date. Search – Search by genre, title, artist, filename and partial filename. Access two USB drives simultaneously - Two USB ports on the player let you connect two USB storage devices and access them simultaneously. Our Media Library feature aggregates the content on both drives into one list sorted by media type. HDMI and composite video connections - The High-Definition Multimedia Interface (HDMI) port lets you connect to the highest quality HDTV or home theater. Additional composite (RCA) outputs ensure compatibility with virtually all television sets. Includes free media conversion software - ArcSoft MediaConverter™ 2.5 -- a fast, easy-to-use application that converts photo, video, and music files into formats optimized for use on the WD TV HD Media Player. Ultra-compact design - Fits easily into your entertainment center. Hassle-free playback of HD movies, home videos, digital music, and photos on your TV. A big thanks to all the attendees and especially to Goetze Dental for a great GX CB-500 event last night in my office in Lee's Summit, MO. We had a great time and it's always fun to show how this amazing technology can change and impact a dental practice from the moment it is installed. In the not too distant future, this amazing technology will be commonplace and very well could become the standard of care when dealing with implant placement and 3rd molar extractions. As a doctor that uses this technology on a regular basis I'm continually amazed at what can be seen, diagnosed, and treatment planned when all of the information is readily available and presented to you visually. We'll be having more of these events in the future so if you missed this one, keep checking the blog (or even better, subscribe to the RSS feed) and we'll keep you updated. You owe it to yourself to look into this technology. Even if you don't purchase one, sending patients out for scans is a great idea. We are currently performing scans for other offices and would be happy to do them for your office as well. Call 816-525-7373 for details. In another example of doing exactly the opposite of what customers want/expect, AT&T is experimenting with capping broadband Internet usage. Personally I think simply adding another more expensive tier to service is a much more friendly way than appearing to threaten the entire customer base. AT&T is conducting a market trial in Reno, Nevada to evaluate a usage-based model that could potentially help address today’s trend of explosive bandwidth usage. The trial may be extended to one other market by the end of the year. Beginning Nov. 1, 2008, new AT&T High Speed Internet customers in Reno will receive a bandwidth usage amount ranging from between 20 Gigabytes (GB) and 150 GB, depending on their broadband speed tier. Later this year, existing AT&T High Speed Internet customers in Reno will become a part of this trial if their monthly usage exceeds 150 GB in one month. These customers will receive a usage amount of 150 GB per month. Once they're a part of the trial, customers will receive a one month grace period the first time usage is exceeded. Thereafter, customers will be charged $1 for every GB over their determined usage amount. All customers in the trial will receive a bandwidth measuring tool so they can track their usage. We will let all impacted customers know about the trial specifics at least 60-days ahead of any overage charges. We’ll also proactively let customers know each time they reach 80 percent of their usage amount. We will not terminate service due to customer usage. We have previously stated that some type of usage based model, for those customers who have abnormally high usage patterns, seems inevitable. A small group of customers are using the majority of bandwidth on our network. In fact, almost 50 percent of total bandwidth is used by just five percent of customers – customers, for example, who are uploading and downloading the equivalent of more than 40,000 YouTube videos or 40 million e-mails a month. This kind of heavy usage has an impact on all of our customers. This trial will help us evaluate ways of dealing with surging usage trends while continuing to meet customer needs for a high quality broadband experience at an affordable price. Rumors have been swirling for a while that Circuit City is struggling to stay afloat. Now comes the rumor that the electronics giant will soon be closing 155 stores. This tidbit has been verified by Google Finance. This is supposed to be done by December 31. It's a bit of a sad day for me as there is a Circuit City not far from my home and I'd much rather go there for a purchase than the local Best Buy which I absolutely refuse to enter due to their incredibly poor customer service to me over the years. I'm sure the present economic conditions aren't making things any better for Circuit City, but here's hoping they get things straightened out. 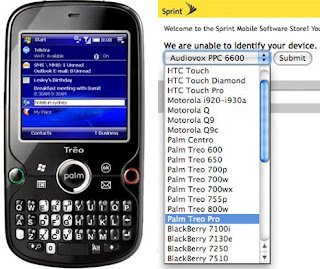 Rumors are hot that the Palm Treo Pro will soon be available on the Sprint network. Sprint has yet to make any announcement to that effect, however, some nosing around the Sprint website has turned up the above drop down menu with the device listed. No word at this time on availability but confidence is pretty high that it will be here in the not too distant future. Here's the cool and fun product for the weekend. 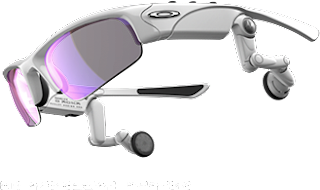 The O ROK Pro bluetooth sunglasses from Oakley allow wireless connection to your mp3 player and your phone simultaneously. This is a pretty cool idea for those of you who are gadget fanatics and don't mind looking like you are part of the borg. You’re on your lunchtime bike ride, listening to your favorite tunes. The music is wirelessly streaming from your iPod® and playing through your sunglasses. Built-in speakers give you crystal clear sound, and the wires that used to hang from your ears have been replaced with something that doesn’t snag, tangle or tie you down: open air. You decide to play your favorite song and crank the volume for the inspiration that will get you up the next hill. No need to dig out your iPod®. You simply push buttons on your sunglasses. It’s total wireless freedom, and because the controls are part of something you’re already wearing, you have instant access. Once your call is finished, the music automatically resumes playing through your sunglasses, right where you left off, without forcing you to fumble with controls or fish out earbuds. And you wonder how you ever survived the age of wires. Introducing O ROKR™ Pro, the latest in the Sport Performance line of eyewear from Oakley and Motorola. O ROKR™ Pro wirelessly streams digital music, and even lets you control the music wirelessly. Just use the buttons on the frame to select songs on your Bluetooth® Stereo-enabled mobile phone or your iPod® equipped with an ODIO™ iA50 Bluetooth® adapter. O ROKR™ Pro also offers the convenience of hands-free wireless communication with your compatible mobile phone — which means it works as a Bluetooth® Headset except there’s nothing to clip on your ear, and the conversation comes through crystal clear in both ears. Best of all, O ROKR™ Pro integrates these technologies from Motorola with the world-class innovations of Oakley eyewear. Total freedom in a lightweight sport-inspired design, the frame resists sweat and includes user-changeable lenses with the clarity of HIGH DEFINITION OPTICS® (HDO®) and Oakley HYDROPHOBIC™, a permanent lens coating that repels water, skin oils and dust. Absolute music freedom with no wires or cords to dangle and tangle. Advanced sweat-resistant design, optimized for sport use. User-changeable lenses that allow you to change your look or adapt quickly to any environment. HIGH DEFINITION OPTICS® (HDO®) for unbeatable clarity that surpasses all ANSI Z87.1 standards. Patented XYZ OPTICS® that give you razor-sharp vision, even in the lens periphery. Oakley HYDROPHOBIC™, a permanent lens coating that repels water, skin oils and dust to help keep the optics crystal clear. Premium sound quality and an easy-to-use interface that gives you full wireless control of your music and your mobile phone. Pure PLUTONITE® lens material that filters out 100% of all UVA, UVB, UVC and harmful blue light up to 400nm. Materials and geometries that meet all ANSI Z87.1 protection standards for both high mass and high velocity impact resistance. The ability to hear your mobile phone conversation in both ears, unlike conventional Bluetooth® headsets. Durable and lightweight O MATTER® frame material that achieves a lower overall weight than the original O ROKR™ — less than the weight of an empty CD jewel case. Custom Mylar® speakers with six directions of movement for precise positioning. Bluetooth® 2.0 for the latest in wireless technology. Up to 5 hours of playback time on a single charge. Three-color indicator light to show battery level. Could a Bodily Fluid "credit card" Type Swipe Provide Rapid Diagnosis? A couple of researchers at the University of Utah have come up with a way to analyze different bodily fluids (including saliva) using a credit card type swipe and the same electronics interface for hard drives & mp3 players. Maybe this gets us one step closer to the mythical Star Trek Tricorder. The device can be used in lots of applications including veterinary medicine. Oct. 30, 2008 - University of Utah scientists successfully created a sensitive prototype device that could test for dozens or even hundreds of diseases simultaneously by acting like a credit card-swipe machine to scan a card loaded with microscopic blood, saliva or urine samples. The prototype works on the same principle - giant magnetoresistance or GMR - that is used to read data on computer hard drives or listen to tunes on portable digital music players. "Think how fast your PC reads data on a hard drive, and imagine using the same technology to monitor your health," says Marc Porter, a Utah Science, Technology and Research (USTAR) professor of chemistry, chemical engineering and bioengineering. Porter is the senior author of a pair of studies demonstrating the new method for rapid disease testing. The research will be published in the Saturday, Nov. 1, 2008, issue of the journal Analytical Chemistry. "You can envision this as a wellness check in which a patient sample - blood, urine, saliva - is spotted on a sample stick or card, scanned, and then the readout indicates your state of well-being," says USTAR research scientist Michael Granger, a co-author of the research. "We have a great sensor able to look for many disease markers." Unlike lab tests today, results could be available in minutes, not hours to weeks. Porter and Granger conducted the research with John Nordling, Rachel Millen and Heather Bullen at Iowa State University in Ames - where Porter once worked - and Mark Tondra, then at NVE Corp., in Eden Prairie, Minn. The Utah Science, Technology and Research initiative seeks to create new high-tech jobs by recruiting world-class research teams to develop products and services that can be commercialized to start new businesses and stimulate Utah's economy. The prototype card-swipe device consists of a GMR "read head" and sample stick. Right now, the device is about the size of a PC. But Granger says that when it is developed commercially, the GMR sensor device will look like a credit card reader. Porter expects a more advanced version will start being used to test farm animals for diseases in about two years, and a version for human medical tests might begin clinical evaluation in five years, perhaps sooner if pursued by certified laboratories. "We also think it has homeland security applications," Porter says. A card swipe device could be taken into the field, where a sample card or stick "could be dipped in groundwater, dried off and read in our device to look for E. coli, plague, smallpox or other suspects on the homeland security list," he says. Granger says cards with GMR sensors also could be used for environmental monitoring of various toxins or toxic chemicals in an office building's water or air. The new research showed the method was very sensitive, detecting as few as 800 microscopic particles that mimicked disease-related substances. GMR's capability to detect a single particle of a biological substance "is just over the horizon," which could be used to test blood or other samples for viruses that can cause disease in minute concentrations, Porter says. Card-swipe testing devices would be inexpensive because they use existing, inexpensive hard-drive technology, Granger says. "The price would be such that small diagnostic labs could buy them, and eventually your local pharmacist could have one," Porter envisions. Porter says a sample card swiped in a GMR sensor device conceivably could hold 1,900 different samples for testing, but that in most medical settings, less than a dozen tests would be needed. Nevertheless, "you eventually might test for hundreds of proteins or other compounds in the body when profiling a person's health," he says. The new testing method makes use of "giant magnetoresistance," or GMR, a phenomenon discovered independently in 1988 by Albert Fert of France and Peter Grünberg of Germany. They shared the 2007 Nobel Prize in Physics for the discovery. Magnetoresistance is the change in a material's resistance to electrical current when an external magnetic field is applied to the material. That change usually is not more than 1 percent. But some multilayer materials display a change in resistance of as much as 80 percent. That is giant magnetoresistance. Porter says GMR "is an ultrasensitive method to detect magnetic footprints," and is used to read data from computer hard disks and from MP3 music players. According to the Nobel Foundation: "A hard disk stores information, such as music, in the form of microscopically small areas magnetized in different directions. The information is retrieved by a read-out head that scans the disk and registers the magnetic changes. ... A read-out head based on the GMR effect can convert very small magnetic changes into differences in electrical resistance and therefore into changes in the current emitted by the read-out head. The current is the signal from the read-out head and its different strengths represent ones and zeros." In the first new study, Porter, Granger and colleagues set the stage for using GMR devices to test medical, environmental or other biological samples. The prototype reader had four GMR devices: two sensors to detect changes to the magnetic fields of the sample spots, and two "reference elements" to distinguish how magnetic measurements were affected by temperature changes as opposed to the presence of disease indicators in medical samples. The prototype does not yet look like a credit card reader or card-swipe device. Instead, it is used to "read" a Pyrex glass sample stick about three-quarters-inch long and one-eighth-inch wide. Biological samples can be placed on the sample stick, which then is "scanned much like a credit card reader," Porter says. In the first study, instead of holding blood or other medical samples, the sample stick had 15 raised spots of iron-nickel "permalloy," a magnetic material that produces a magnetic signature read by GMR sensors. "We are simulating a signal to test the card-swipe device," Granger says. "It's not a real sample." The study determined how measurements by the GMR sensors - the heart of a future card-swipe device - can be calibrated to account for variations in the size of the permalloy spots, the amount of separation between the sensors and the sample stick, and on the angle of the sample stick as it is scanned by the sensors. Those factors determine how consistently and accurately a card-swipe device would detect minute amounts of substances associated with diseases. In the second study, the sample stick's alloy spots were replaced by the material that would be used on real medical test cards: microscopic spots or "addresses" of gold that were no longer than the smallest known bacterium. The widths were varied to test which size of addresses could be "read" most accurately. A substance named biotin or vitamin B-7 was bound chemically to the gold spots on the sample stick. Tiny drops of magnetic particles coated with streptavidin - a protein found in eggs - were placed on the gold spots. "The gold address has no magnetic signature," Granger says. "Once the particles are bound to it, GMR picks up that magnetic signature. It's a proof of principle." The experiment was repeated hundreds of times with different concentrations of magnetic particles bound to the biological substance. "We could detect as few as 800 magnetic particles on an address," Porter says. "We believe that with further development, we can get down to single-particle detection." Current tests for prostate specific antigen (PSA) - an indicator for possible prostate cancer - only look for "free" PSA but not for other forms. A card-like sample stick with multiple "addresses," each with an antibody that binds to a different kind of PSA, would be able to test a blood sample for multiple forms of PSA and for their relative abundances, and thus be more reliable in predicting prostate cancer, Porter says. "The same approach can be used to screen patients for other cancers or heart disease," Granger says. A rapid, card-reader test for genital or oral herpes could help reduce the number of Caesarean sections. If obstetricians suspect maternal herpes, they sometimes do C-sections to avoid transmission to the newborn, Porter says. A conclusive, rapid test for herpes can tell doctors if a C-section is really necessary. Porter envisions GMR sensors as tools for personalized medicine, in which "you want to establish everybody's baseline with various health markers" - tests for various diseases and disease susceptibilities. Then, people would monitor health changes by periodic re-testing in a doctor's office, pharmacy or perhaps at home. GMR sensors could provide rapid detection of porcine parvovirus, a respiratory infection that kills pigs; feline calicivirus, which does the same to cats; and bacteria that cause Johne's (pronounced yo-knees) disease, a fatal wasting disorder in dairy cows that costs $1.5 billion annually in the United States.